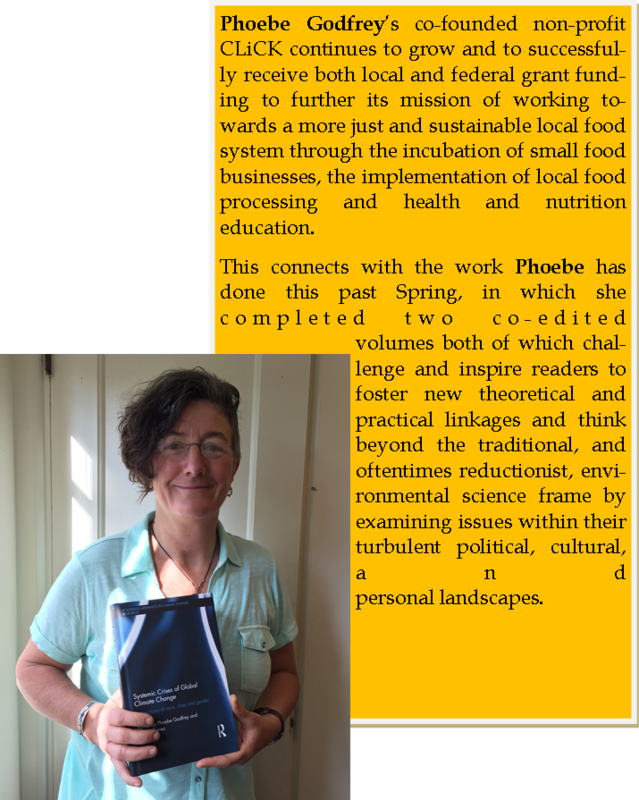 Our faculty are respected scholars in the discipline. Numerous faculty publish regularly in university presses and top sociology outlets, are editors or serve on editorial boards of major journals, and often receive awards and have held major offices in a variety of professional societies including the American Sociological Association, Population Association of America,Sociologists for Women in Society, the Eastern Sociological Society, and the Society for the Study of Symbolic Interaction.We are committed to both undergraduate and graduate teaching, and several professors and instructors have won college or university teaching awards. 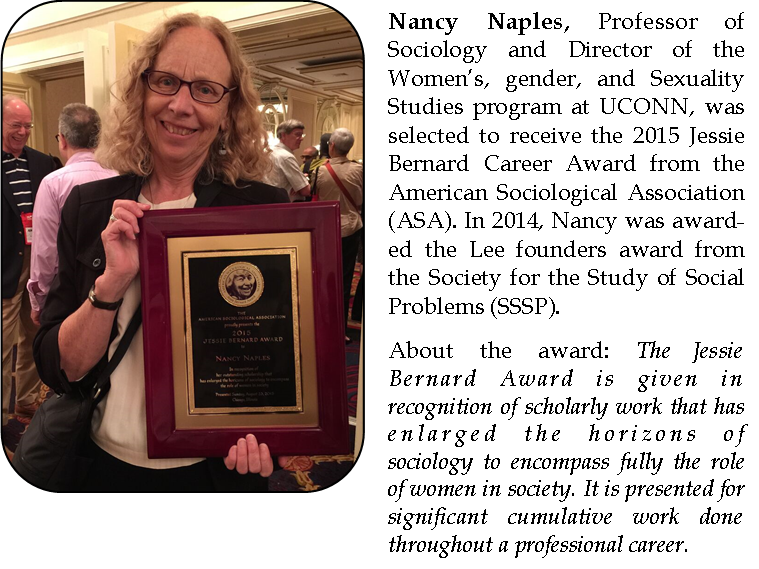 Nancy Naples, 2015 Jessie Bernard Award Winner!